 The winners of the Tes FE Awards 2019, held in association with The Association of Colleges Beacon Awards, were announced on Friday 22 March 2019 at the Grosvenor House Hotel, Park Lane, London. The judges were particularly impressed by Belfast Metropolitan College’s work with the Northern Ireland Prison Service. This included remodelling a young offenders’ centre, and rebranding it as Hydebank Wood College.This project was overseen by the team at the college’s Centre for Economic Development and Social Inclusion (CEDSI). This is a cross-college initiative that helps deliver skills for marginalised learners, boosting not only their life chances but growing the wider economy too.Through its work with the prisons service, young offenders are able to develop essential skills and participate in courses up to level 3, helping to lower reoffending rates. The judges added that this was a “thoughtful, long-term project” that helped prisoners transition back into the community and integrate back into society upon their release from prison. The team at CEDSI has been highly effective in supporting business development in Northern Ireland. The college’s Assured Skills Programme alone has boosted the regional economy to the tune of £141 million and has stimulated more than 5,000 jobs. The programme typically involves a learner taking part in a bespoke eight to 10-week pre-employment training programme designed by the CEDSI team, designed to prepare them for jobs in sectors including animation, cyber security and data analytics. Staff have helped win multi-million pound contracts from a diverse group of organisations, helping it to realise its mission to “make a fundamental impact on the economic and social success of the city by equipping its people, employers and communities with the education and skills for work”. This category recognises tutors who have made “a major contribution to educational life”. Samantha Jones has not only made a contribution to her students but also to the FE sector as a whole through her FE Research Meet initiative. Jones is a part-time advanced practitioner in Bedford College’s Teacher Education and Scholarship Department. Since she joined, student achievement rates have consistently increased. 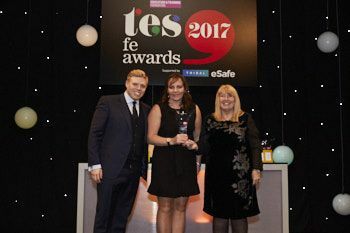 In addition to her teaching duties, Jones is an FE researcher and recently completed a Master’s degree in learning and teaching from the University of Oxford University, where she won the International Professional Development Award for her dissertation on CPD in FE colleges. Last September she started a PhD at the University of Cambridge exploring topics surrounding updating vocational knowledge. In 2017, Jones held the UK’s first research summit for FE lecturers. Five pieces of research were shared at the first meeting, with 40 teachers in attendance. The second meeting, a year later, featured discussions on 15 pieces of research by 65 tutors. Jones helped other teacher-researchers set up their own research meets, with regional events in Bristol and Greater Manchester. To date, six FE Research Meets across the country are planned for 2019. Jones is also co-convenor of the post-compulsory and lifelong learning special interest group at the British Educational Research Association, and she is convenes the Learning and Skills Research Network’s Bedfordshire, Hertfordshire and Buckinghamshire group. The judges said Samantha’s research work “contributes to the national conversation”, with its impact felt not just in her colleges but disseminated across the sector. This award recognises the adult and community learning provider that provides “a high-quality curriculum with excellent student outcomes, reflected in strong recruitment and success rates”. Redbridge Institute has over 4,000 students across 47 community settings in one of the most diverse boroughs in East London. Two-thirds of learners are from a black, Asian or minority ethnic (BAME) background; libraries across the borough have increased membership from BAME groups thanks in no small part to the work of the institute. The proportion of learners gaining qualifications has remained consistently very high (over 91 per cent) for the last three years. The student body is inclusive too: a quarter of learners have a learning difficulty or disability, and three out of five are studying at pre-entry level. Thanks to a stong system of learning support, the achievement rate for learners with a learning difficulty or disability is 91.5 per cent. The provider has embedded self-reflection into teachers’ CPD, using as a starting point the professional standards set by the Education and Training Foundation. The institute’s submission notes that staff are now “fully involved in their own professional development” which has created a culture in which tutors are “encouraged and motivated to innovate and try out new ways of teaching which are right for their learner”. The judges described Redbridge Institute as a “great place for adults to learn. “Learners value their open and welcoming atmosphere which encourages a mix of different groups of people to work together,” they added. The remarkable turnaround which saw Bridgend College transformed from one of the worst-performing colleges in the country to one of the best made it a clear winner. Bridgend College tops league tables in Wales for qualification completion rates. In the most recent statistics, these stood above 90 per cent across all qualifications. Some of the wards in the area the college serves are among the most economically deprived in the country. The college is rooted in its community, supporting other education providers and businesses across the region. This includes work with a nearby school which led to a 13 per increase in the number of learners gaining A to C grades at A level. Estyn, the Welsh education and training inspectorate, awarded the college a rare “double excellent” grade at its most recent inspection. The college was praised for the “very good progress” learners make, often from low starting points. Inspectors also praised the culture in the college of supporting staff to “innovate and take risks” as well as helping to build their confidence in order to meet future challenges. The college’s own latest staff survey showed that 98 per cent of staff are happy to work there. The judges were impressed by the way in which the college had responded to local need and the difference that it has made to the well-being of its students. They also praised the work dedicated to improving its fortunes under the able leadership of the governing body, principal and staff. The judges were in agreement that Huddersfield New College achieves “amazing results” and raises the aspirations of its students.The area the college serves is in the bottom third of local authorities in terms of deprivation and a quarter of students at the college receive a means-tested bursary.The college has excellent results at A level, with a 100 per cent pass rate for both A-level and vocational courses, despite the college not academically selecting its students at 16. Students can choose to study either A levels, BTECs or a combination of the two – with 83 per cent of learners following some form of vocational course at levels 1-3. The BTEC pass rate at the college is 100 per cent.The college is number one in the National Centre for Diversity’s 2019 Top 100 index and was commended by Ofsted for its approach, with inspectors saying “learners celebrate and welcome their differences and feel extremely comfortable at college”. The college has partnered with neighbouring Premier League football club Huddersfield Town as its official equality partner.Every department bat the college builds bespoke industry links to ensure that students have access to employer experiences, including with the NHS, IT companies and accountancy firms.The college also shares best practice at a local and national level, including supporting other sixth-form colleges graded “requires improvement” or “inadequate” with their journeys of improvement. The judges said Huddersfield New College serves a community where “things are not made easy for them,” but this does not stop students from excelling. Birkenhead Sixth Form College has an ethos based around social mobility. As the college puts it in its submission, it aims to give its students “access to opportunities and to a life that is wholly different from the one that they grew up in”. The college takes a radical approach, telling students from the outset that “there’s no such thing as talent and that success is a product of hard work”. Despite its intake of students starting at college with an average GCSE points score of 5.4 – below the sixth-form college average of 6.2 – one in eight learners go on to higher education, with 86 per cent of those being the first in their families to do so. The college looks particularly at raising attainment for white working-class students but does so through a whole-college approach, rather than targeting small groups of disadvantaged students. The college identified the low aspirations of white working class girls as a priority issue to tackle, and worked with mentoring charity Girls Network to link girls with inspiring role models. When it realised that its white, working class, male students needed similar support, Birkenhead approached the Behavioural Insights Team and University College London. It is now the only sixth-form college involved in their research around using role models to improve the prospects of white working class boys. The assessors noted the college’s “strategic approach to understanding the disadvantages and needs of students, and then providing them with a tailored experience to enable and empower learners to change the direction of their lives”. By creating a dedicated careers academy, North West Regional College in Northern Ireland is helping to tackle high levels of unemployment in the wider community by offering “work-ready” courses. Assessors acknowledged that the college operates in “a very challenging area, facing the remnants of sectarianism and extreme levels of deprivation”. Yet it has “uniquely and successfully” embedded careers education into every aspect of the curriculum, they added. The college’s careers programme focusses on employability, enterprise and enrichment. One of its initiatives is a jobs club. Vacancies in the region are advertised to learners and careers academy staff assist students through the application process. The scheme has a 70 per cent success rate of getting learners into employment. Its careers strategy extends into the community and is used as a recruitment tool. The college holds a roadshow, taking the college’s offering to central locations to promote further education as a route into employment. North West Regional College runs a packed calendar of events including weeks dedicated to exploring the topics of resilience, enterprise and mental health week. Staff at the careers academy have also set up a “Talk, Don’t Walk” initiative that has helped to improve retention. The assessors said they were impressed with the “culture and commitment that is transforming learners’ prospects and lives, and supporting the economy of the region itself through innovative bespoke career workshops for different sectors. “Careers education is in every part of the curriculum,” they added. The Caledonian MacBrayne (CalMac) shipping company operates the largest fleet of car and passenger ferries in the UK, serving Scotland’s island communities. It has partnered with City of Glasgow College to train up the next generation of shipfarers. The Beacon assessors considered this as an “outstanding project”.City of Glasgow College’s modern apprenticeship programme offers meaningful employment to young people in remote island communities as well as the deprived areas of inner-city Glasgow. The college is the only training provider in Scotland to provide all the internationally mandated safety standards. But it prides itself on going further than offering the minimum training required: apprentices are equipped with a range of academic and professional qualifications to start them on a career route to more senior roles as their skills and experience develop. Students go through a rigorous application and selection process for the maritime apprenticeship, which means that a pipeline of new talent has been established to secure CalMac’s future plans to connect more remote island communities to the Scottish mainland. The apprenticeship is subject to regular review to ensure it continues to meet the current and future needs of the employer. The assessors said the programme “clearly demonstrates how the college uses their experience of working with one employer to develop a highly responsive and innovative apprenticeship scheme, which in turn positively influenced the shipping provision for the whole sector”. This project had a significant and massive impact on the economy of the Western Isles, the employer concerned and the life chances of their learners,” they added. The Beacon assessors felt that Bolton College’s initiative use of chatbot technology was “potentially a game changer for the whole of the FE sector”. Ada is described as the college’s very own answer to Amazon’s Alexa: a digital assistant providing personalised and contextualised one-to-one support for every student on the campus. Powered by artificial intelligence, Ada functions as a virtual support teacher on behalf of teachers and support teams across the campus. The service has so far responded successfully to more than 70,000 questions from learners. It has allowed them to garner information, advice and guidance to support their studies, even out of office hours. Members of Bolton College’s information learning technology team championed the use of this technology, as a growing volume of data led them to conclude that a service which enabled students to garner information in a more intuitive and accessible manner was essential. The AI platform has been taught to support everything from the delivery of GCSE maths and hairdressing courses to the college’s employability curriculum. The team behind the programme said these functions will continue to expand and grow. Bolton College’s chatbot service is already available to all learners at the college. This year, the college will launch iOS and Android apps for the chatbot service. The college is also publishing an Amazon Alexa app which will enable learners to access college services via their smart speakers. The assessors said that “the long-term benefits for the quality of the learner experience and potential organisational efficiencies were highly impressive”.